After 41 years in business I was so happy to have found ESL more than 10 years ago. It was certainly one of the best decisions I ever made to help us with our computers systems. I've bought many, many computers from ESL and they are the only ones we never have trouble with. They are masters in the art of computer technology. If they tell you something, "believe it" and don't waste your time questioning their integrity or their knowledge. I have a large staff in four companies in Boca Raton including two internet based services and I don't know what we'd do without his professional help. You'd be making a great decision to call ESL and you'll receive the fairest pricing anywhere. If you need reliable, affordable, and most importantly expert computer technology service, look no further than ESL. Our medical practice has benefited from our association with ESL for over twelve years and we have never been disappointed. They are the best!! I have been an extremely pleased customer of the services of Electronic Systems Lab over a period of several years. Their work has been successfully performed on both our desktop and laptop computers. The response time to my need has always been quick. The knowledge and expertise of the service provider was at the highest professional level. Recommendations have been made for which I have been thankful, especially related to security programs for the system. The cost for services rendered by ESL I have found to be very reasonable. If I were to rate the overall quality of service delivered by ESL on a 5 star scale, I would definitely rate ESL at 5 stars. I HAVE RAVED ABOUT YOUR SERVICE AND ABILITIES TO SOLVE ALL OF MY COMPUTER CONCERNS. YOUR PROMPTNESS IN ADDRESSING ANY PROBLEMS I HAVE HAS BEEN GREATLY APPRECIATED. ESL is always right there when i call, if not that day, pretty much the very next! They never stop until the issue is solved and go beyond by always looking behind the matter to see what else could be lurking. For me that's a biggie, being a computer "dummy" to this world!! I will and have willingly recommended you to others because i want everyone with a problem to see how painless and stress less the whole process can be. We've been together 5 years? maybe more and I'm thrilled the day YOU got recommended to me. First I would like to say ‘Electronic Systems Labs' is the only company I would trust with my computer!!!!. I have a small business on the internet and when my computer goes down I lose money. Joe is the finest IT person you will ever find!!! There is nothing he does not know about computers and fast to service and fix problems. Their prices are very low for this type of wonderful service, and great to work with when all the chips are down. I'm so happy that one of my friends recommended ESL for any computer problems that I encounter. I can count on you to take care of whatever problem I might encounter and do it in a timely manner. You originally set up my computer, printer and wireless for me and recently helped restore it when I had problems trying to get into my email. Thank you for your prompt attention. Everything is running perfectly. I would like to thank you for all of your assistance with my many questions regarding computers throughout the years. I have been a computer customer for several years and have learned along the way, thanks to your excellent instructions and patience. My frantic calls with questions were always answered in a timely fashion and whatever the issue was it was corrected quickly. Thank you for allowing me to bring my computer in for speedy diagnosing of any problems, as well as , your same day visits to my home to correct impossible situations immediately. I feel so lucky to have an expert IT person close by that I can see in person to assist in any challenges I come across with my computer. Thank you again! I have known ESL for more than 10 years and have always found them to be courteous, hard-working and eager to get the job done right the first time. Whether it was developing and ordering a new computer, repairing existing office computers, or solving a difficult software issue, they were always able to expeditiously resolve the issue to my complete satisfaction. I have referred several of my patients to Electronic Systems Labs and will certainly feel free to do so in the future. ESL has solved many a problem on both my desktop and laptop, sometimes by telephone and at other times by a service call. My issue was solved sometimes the same day and at other times the next business day. As I use my computer for business, being shut down is of great concern. ESL understood this and their quick attention to my problem was gratifying. From cleaning my hard drive for faster speed to setting up and repairing my wireless network ESL always managed to get the job done quickly and efficiently. Actually, I recommend ESL every time I get the opportunity. Their ability to explain the problem and solution in my terms gives me the feeling of confidence that my business is in good hands. I have called a number of times to resolve computer issues that were beyond my abilities to solve. They offer service in your home or in their office- I have taken advantage of both and in addition when my old computer finally reached the end of its useful life, they built a new one using some components that were still functional. This saved me some money versus an all new system. What I like about dealing with them is that they keep their word- they'll be there when he say and fix your problem for the least possible cost. I have recommended them to a number of my friends and neighbors and the feedback I received was very positive. I would highly recommend ESL for service. They are always very prompt, knowledgeable and courteous and a pleasure to deal with. THANK YOU FOR YOUR TIMELY AND EXCELLENT SOLUTION TO MY PROBLEM OF TANGLED COMPUTER PROBLEMS. ONLY THOSE OF US WHO HAVE STRUGGLED WITH THIS ANNOYING AND TIME CONSUMING INCONVENIENCE CAN APPRECIATE WHAT A DELIGHT IT IS THAT YOU HAVE THE SOLUTION TO ALL OF OUR PROBLEMS. Your service is always great because you're so knowledgeable and dedicated to doing whatever is takes to solve your customers' computer problems. My problem centered on the fact that I was unable to access my contact list from emails I wanted to send. I spent, literally, hours online looking for a solution and on the phone with Yahoo and AT&T. There were no answers from any source. You went "outside the box" to find a solution for me. You discovered that there was a flaw in my system. While there was no actual fix for it, you transferred everything from my tower to an old tower we were going to give away. Voila! System fixed! Everything works the way it's supposed to now. It took a few days, but if I had continued to try to find a solution, I could have struggled forever and not been successful. Thank you again for putting me "back in business." I would definitely recommend your services to anyone with computer problems. And who doesn't? I find ESL to always be prompt and on time. I also find that I am able to understand your explanations because you take into account that I have computer limitations. Being very pleased with your service, I have already recommended you to several friends. ESL arrived quickly and on time and did a very in-depth but quick troubleshooting. He asked questions and moved forward. 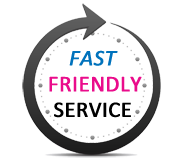 The issue was resolved in a timely basis and I was able to resume my work quickly. Viruses taken care of, a full quick computer checkup was done. Absolutely I would recommend ESL and I would use them again and again. My problem with our computer was solved by the capable hands of the service person at E.S.L. The problem was solved on time and exactly the way I wanted. With the way our computer has been taken care of I would recommend Electronic System Lab to others in the need of service. You will find their service person to be very knowledgeable and personable. ESL is the most knowledgeable, pleasant Company I have encountered that has worked on my PC. The work is first class, reasonable in cost and completed on time. My wife and I are very pleased with the technical and professional support that Electronic System Labs, has provided us for a number of years. They have been particularly pleasant and patient with us as we have very few computer skills, not only assisted us with getting our first computer set up but provided us with the basic skills to begin using the computer for our purposes. Later, he demonstrated and stayed with us until we became familiar with the more advanced operations. Always available with email assistance as well as hands-on help whenever we need him. Without any hesitation, we completely trust and highly recommend ESL to those who need assistance with any computer problem. You have been my "computer doctor" for what must be well over 10 years now and in addition to quickly solving my problems from time to time you have also taught me so many helpful steps which has been very helpful to me. I was, and am, one of those Seniors who left work just before computers became an office fixture everywhere. I have recommended your work to several friends and their feedback has been to thank me for the referrals. I had a problem with my monitor, it was solved over the phone no need to bring the computer to the shop. ESL has worked on my computer, rebuild it at reasonable cost. Electronic Systems Labs is a quality company that I have used several times. I purchased a desktop computer several years ago. It worked for about 18 months. It failed and they replaced the motherboard at no charge. If you need any service software or hardware related they are very qualified. I've used ESL services for about 10 years now. I have been very happy with their services for computers repairs software and network setup at very reasonable prices. One of the best qualities about ESL is the on time performance . I have highly recommended ESL to neighbors and friends each and everyone has been very satisfied with their excellent service. Just would like to say thanks and keep up the good work. They are very good at what they do. Very honest, reliable, and very pleasant. Every body I know has only good things to say about ESL and they thank me for the reference. ESL has first been promptly available to offer help either on site, via the internet or in the office. When called on, has always moved directly to asses the problem, analyze the cause and resolve the issue with deliberate speed. We are out of state often, and if possible we bring our computers to Florida with us when we return particularly when we are troubled by some computer glitch that no-one else seams to be able to solve. 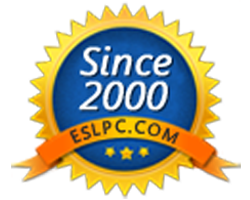 I've used Electronic Systems Labs (ESL) since January of 2003. I've had accessories installed and running without problems and whenever there was one it was done right away. I've also had upgrades done on older computers to keep them working beyond their obsolescent times. I've purchased programs which I had them install as I felt way better about having them do it rather than doing it myself. These programs are still running without any problems. I've had crashes in which I couldn't get my computers up and running, ESL, of course, was able to recover the data and restore the computer into its working order. There have been a few minor problems which I emailed them and replied back with a solution. I even had them build me a new xp tower of which I am still using it as my primary computer. I recommended ESL to other members of the HOA community in which I live. My wife and I wish to thank you for your services. We believe that you have served us well over the past 6 years or more and have never let us down. You have not only showed up on time but you always show up with the proper tools and equipment to repair our gear. We are pleased to recommend your services to any of our friends and neighbors. Thanks for your assistance and we know that you will be of help to us in the future.